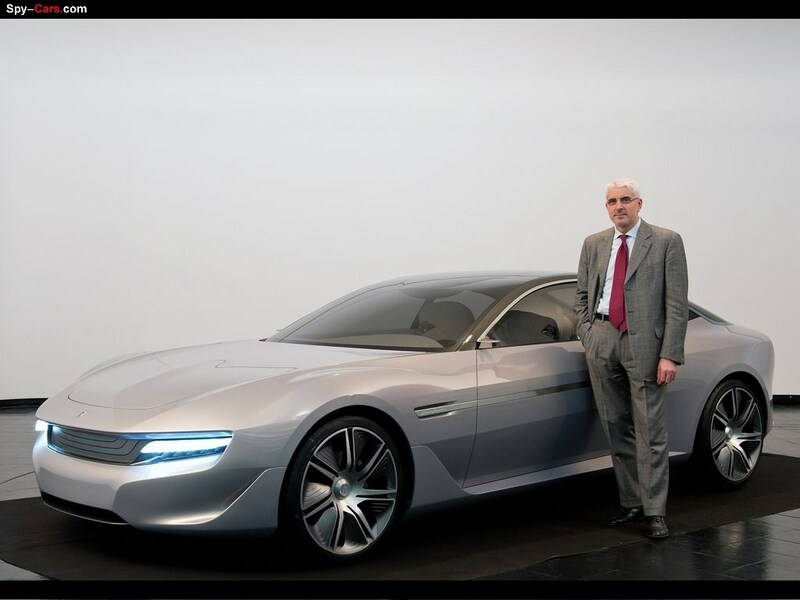 It is a new approach to luxury in the car, according to Pininfarina's school of thought. 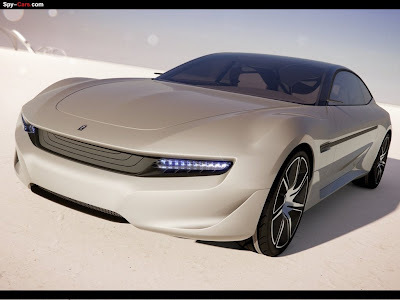 The Cambiano is launched, a concept car that is elegant and sporty, refined and comfortable. An enticing combination of pure, cutting edge design and uncompromising engineering that respects the environment in both in the engine and in the choice of materials. The Cambiano is an expression of Pininfarina today, embodying all the company's skills in terms of style, planning and research in the field of sustainable mobility. It is no coincidence that its chosen name is that of the town where Pininfarina has its headquarters. In 2012 the company celebrates a dual anniversary: the 30th anniversary of the Style Centre, which was set up in Cambiano in 1982 as "Pininfarina Studi e Ricerche", and the 10th anniversary of the Engineering Centre, which was inaugurated there in 2002, adding contract engineering to its activities of styling and niche design/production, and concentrating cutting edge technological tools and a team of outstanding specialists in one place. 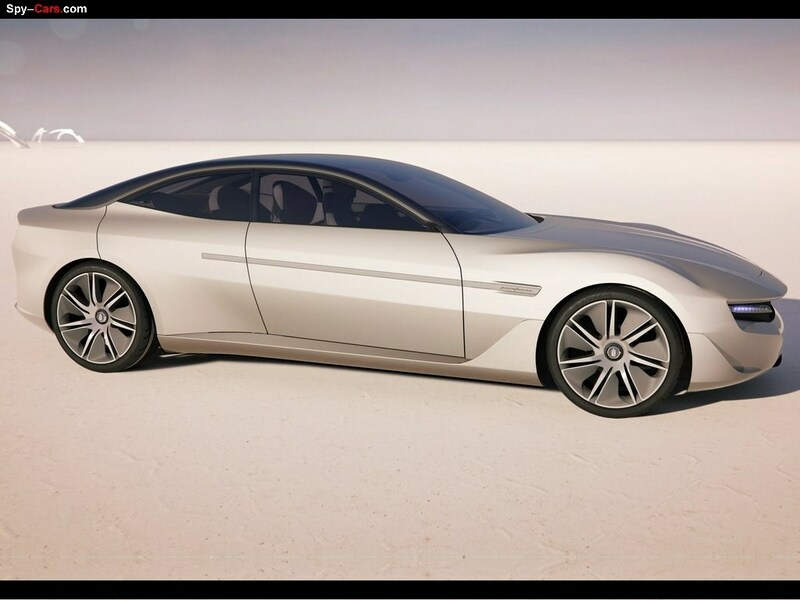 The luxury sports saloon embodies the innovative archetypes of Pininfarina design in full. Another example was a milestone in the company's history, the Florida II, a concept car of 1957 which the founder Pinin Farina conceived and built for his own personal use, a saloon-coupé with an architecture and line that influenced global production for many years. 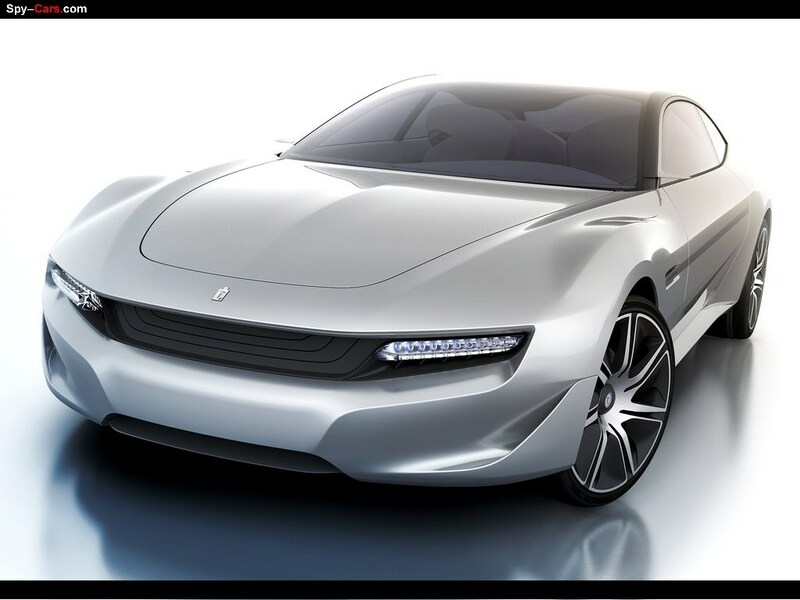 In a way, it was Pininfarina's first real concept car. 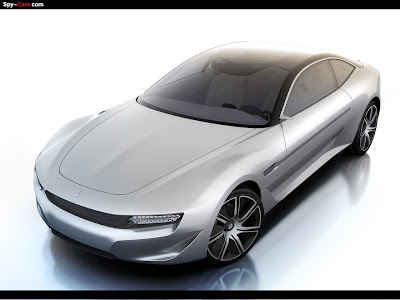 Today, in 2012, the Cambiano redefines and reinterprets the ideas that are the basic tenets of Pininfarina design: harmonious proportions, taut lines and fluid surfaces, and a simple element that extends all along the side to underline its dynamism. The result is a very strong visual impact, emphasised by an extremely pure, aerodynamic shape based on essential and purely functional stylistic elements. The Cambiano breaks with the general trend of design that is overloaded with elements, and confidently embraces the return of pure form as the absolute value, in the best "tradition" of Italian Style, reflecting the deepest essence of Pininfarina Design. The Cambiano reveals its true character at first glance, starting from the unconventional layout of the doors: on the driver's side the car is a sports coupe with a single door, but on the passenger side there are two doors that open from the centre with no central pillar. This simplifies access and makes the most of the spacious, luminous passenger compartment. The Cambiano is an expression of the car as a global project, and there is total consistency between every detail of the exterior and interior design, and between the colours, materials and the use of technology. Elegance and formal harmony blend in the association of complementary values: balance and contrast, the relation between full and empty, between solid and transparent. Formal purity and simplicity become elements of iconic design. The proportions of the Cambiano convey dynamism and fluidity, thanks to the low tapered front and the light, fleeting rear-mounted cabin. The body of the car is one of simple, solid volumes, with large taut but sensual surfaces, enhanced by the innovative golden grey colour and iridescent blue reflections specifically developed for this project by Standox. The metal inserts in the sides are a new take on decorative mouldings and they continue all along the side glazing, incorporating the lighting and opening functions of the doors. The large honeycomb roof is ethereal and transparent and completes the body of the car, imparting a sense of solidity and of elegant refinement. The front, with its clean, essential design, returns to a motif that is typical of Pininfarina: headlights incorporated into the grille and protruding wheel arches. The grille also incorporates a dynamic opening that is an air inlet for the turbo. The LED front headlights are simple "blocks" of pure, crystalline light. The tail lights and side indicators are almost intangible: only the light exists, appearing as if by magic on the surface of the bodywork. In the purest spirit of Pininfarina, the essentiality of the form becomes a very elegant expression of pure function. The light is an integral part of the Cambiano design concept, inside and out. The relationship with natural light is simplified by the panoramic roof, which is translucent in some areas and transparent in others. With a carbon honeycomb structure mounted between the outside glass and a polycarbonate inner lining, the roof enhances visibility in the car - heightening the sense of luminosity and space inside. The light is not only a natural element, but also emphasises the sensory experience of the passenger compartment thanks to a refined and functional lighting system, which exploits light channels inserted into the ceiling, the doors and the floor. The Cambiano is the first car to incorporate into the passenger compartment a contemporary video-art projection, created specifically by the Spanish artist Javier Fernandez with a very personal language of manipulated, overlapping images. The work is projected onto the ceiling where it can be enjoyed by rear seat passengers during the drive. Contemporary art, a preeminent feature of luxury, is thus incorporated into the concept of the car, leaving behind its elite aura and becoming accessible. The complementarity between apparently contrasting elements is also expressed in the interior. Natural materials contrast with sophisticated details, and the physicality of pure matter with the immateriality of the most advanced forms of communication, which simplify the interaction between the driver and the car and his surroundings. It is a fascinating mixture of luxury craftsmanship and innovation: exclusive materials and outstanding manual work combined with the use of advanced technologies and innovative concepts. Elegant and modern design converges in the interior with comfort, ergonomics and environmental sustainability, maintaining the same stylistic approach of the exterior. Fluid, sensual surfaces, a light, essential environment, with clearly defined functional zones: interactive controls and surfaces turned towards the driver, a more comfortable and tactile area for the other passengers. A fine, light facia, light but enveloping front seats suspended between the consoles and the sill, in a delicate balance between solid and hollow designed to create tension. 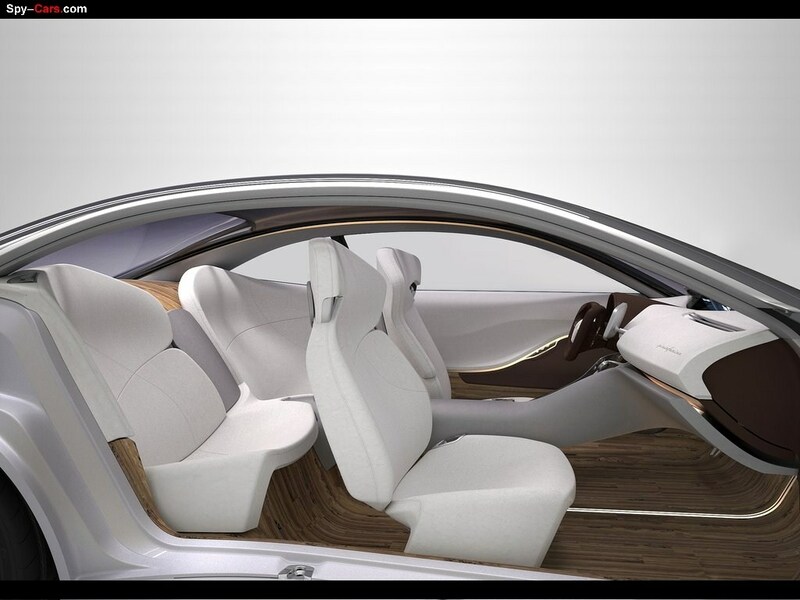 The asymmetrical access to the passenger compartment determines the leaf structure of the two rear seats, which are almost suspended in the car, where occupants enjoy an environment that is made more comfortable and refined by the generous legroom. The interior is upholstered with Foglizzo leather, personalised in certain points with a special diamond point punched patter. The leather used on the Cambiano was chosen from the Pininfarina Leather Collection for Foglizzo, a collection of personalised natural and imitation leathers developed by the two Turin companies. The uprights and door panels are upholstered with polylactic acid, a plastic derived from sugar substances, treacle and milk serum, a solution that reduces the use of petroleum. Like the entire lower part of the passenger compartment, the perfectly flat floor is made of recycled wood. This is the strongest and most typical element of the interior of the Cambiano, the fusion of matter and transformation, technological research and respect of cultural and environmental values. A choice dictated by the discovery of a wonderful material, which is both poor and noble: the wood of the "briccole", the poles of European oak used to indicate the navigation channels and moorings inside the Venice lagoon. Riva1920, a historical Italian producer of solid wood furniture that has been working with Pininfarina Extra for over ten years, had the brilliant idea of recuperating the wood of these 12 metre poles, thousands of which are replaced every year. The wood is marked by the lagoon water and by marine microorganisms, which come alive again, creating a new manufact that is destined to last. Following the same principle, Riva1920 has created all the wooden elements for the interior of the Cambiano, using numerical control milling machine followed by manual final polishing and oiling. The result is surprising and evocative. The material is about to embark on its third lease of life, and it reveals its unique texture and the wear and tear of passing time: the holes made by the marine molluscs are still visible on the surface. Not only. This complex, delicate technological craftsmanship makes the interior of the Cambiano something unique that expresses an outstanding level of creativity and experience, thanks to this eco-friendly re-use of a natural, discarded material with the enormous evocative force of the huge cultural, emotional and artistic dimension attributed to Venice all over the world. The atmosphere of extreme refinement in the car is underlined by another precious detail in the instrumentation: the timepiece manufactured in Limited Edition by the Swiss watchmaker Bovet 1822. This "Cambiano" Chronograph designed by Pininfarina can be removed from the dashboard and worn as a wristwatch, or used as a sports timer and even a table clock, due to its convertible concept. The instrumentation of the driving position is divided into three priority zones according to use: the car's functions and performance, navigation and comfort, multimedia and connections. The main display shows the power delivered by the 4 electric motors backed up by the turbine, the battery charge and the fuel gauge, the total range and the range with all-electric operation, the driving mode (Ecocity, Snow/Ice, Efficiency, Sport, Drifting), and the speedometer. The driver monitors the navigator, the warning messages and the multimedia functions on the secondary display. The "swap" control transfers the navigator and other functions to the central display and vice versa. And a touch pad gives access to the interactive instrumentation and climate control. The driver controls the lights and the gear selector on the steering wheel, while the "Start" control and a device holder are on the centre tunnel. The attention paid to detail is evident from the work carried out on the tyres. 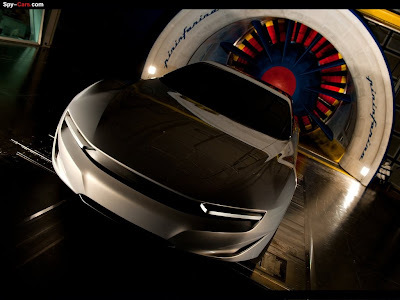 For the Cambiano Pininfarina specifically developed with Fate, Argentina's largest tyre production and exporting company, the first tyre for top of the range cars, Concept Tyre, from Eximia by Pininfarina. Fate's experts engineers contributed with precise studies and creative capability, making possible a further step in design, technology and security. Concept Tyre, from Eximia by Pininfarina, synthesizes the last progresses in the search of perfection: environmental care, superior constructive quality, and an advanced esthetic model. The Cambiano also sets new parameters for eco-sustainability in the high performance luxury car segment, its strong points include electric drive which guarantees zero emissions in the urban cycle and a range with all-electric operation that is higher than any offered on the market today. 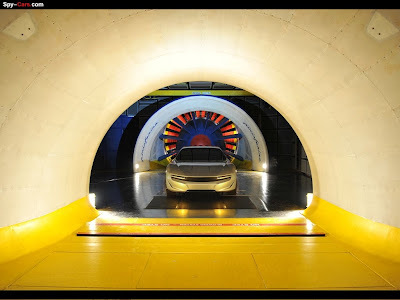 And how could it be otherwise on a concept car from Pininfarina, whose genes have always included sustainable mobility, now one of the pillars of the company's industrial plan? Pininfarina was concentrating on aerodynamics and alternative sources of energy as early as the 1970s: for example, with prototypes like the CNR Energetica 1 or Ecos, the first electric car developed by Pininfarina. In the 1990s Pininfarina offered new solutions with the Ethos, a family of 3 cars with an aluminium chassis, a body of recyclable resin, and an innovative combustion engine with low emissions, culminating in 1995 with the Ethos 3EV, another zero emissions car. More recently Pininfarina engineers turned their attention to research into hybrid vehicles with the Eta Beta and Metrocubo projects, the focussing on safety in 2004 with the Nido. In 2008 the Sintesi proposed a futuristic concept cap supplied by 4 fuel cells (one per wheel). Which brings us to the present: the BlueCar in 2008, the Nido EV in 2010 and the Hybus in 2011, a project to convert buses currently equipped with Euro 0-1-2 engines into buses with serial hybrid power packs. This consolidated technological expertise and the ability to manage cutting-edge projects with great flexibility and innovation are expressed in the Cambiano. The perfect integration of the styling and engineering activities has produced an extended range plug-in electric car that combines top performance and roominess with the comfort of a luxury car and total respect of the environment. The type of engine chosen and the position of the battery pack in the rear of the car (under the luggage compartment) have created a vehicle architecture with a perfectly flat floor, that is regular and low, guaranteeing excellent access, liveability on board and a lower centre of gravity. The drive system is based on four electric motors, one for each wheel, and the respective deceleration unit. 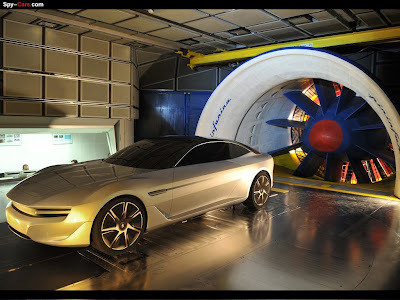 The four motors, which are produced by Magneti Marelli, are mounted on the front and rear frames and each delivers a continuous supply of 60 kW with peaks of 150 kW for a total of 600 kW maximum power output, with torque of 640 Nm. Each motor is controlled separately and electronically to guarantee various functions, including energy regeneration when decelerating and braking, traction control with the option of continuously varying the torque split between the wheels independently (Vectoring Stability Program) and anti-lock braking assistance. The traction control strategies make the vehicle even more enjoyable to drive, guaranteeing outstanding performance and maximum safety over all types of routes. The drive system incorporates an APU (Auxiliary Power Unit) to charge the batteries and, when necessary, to supply energy directly to the motors: this is a 50 kW Bladon Jets micro turbine which normally runs on diesel but which can be calibrated to be compatible with various types of fuel. In addition to this advantage, the turbine is smaller than those of piston engines with a similar power delivery, it weighs just 40 kg, and generates low polluting emissions. The micro turbine chosen for the Cambiano has technical features that make it particularly quiet and vibration-free, enhancing comfort for passengers. This type of extended range electric drive is thus amply in line with EURO 6 legislation, and is already compatible with possible evolutions (EURO 7 ready). The battery pack developed by FAAM is installed between the seats and the rear axle, where it is protected from possible collisions and easily replaced during servicing. The battery is of the high power, high energy density lithium ion type, has a capacity of 50 kW/h, a peak power delivery of 500 kW, and can be recharged in 6 hours using a 6 Kw/h grid and in 52 minutes with the APU. Combined with the micro turbine, it guarantees a range of 205 km in the urban cycle in all-electric mode, and a total range in the NEDC (New European Driving Cycle) mixed cycle of over 800 km in extended range mode, higher than that of luxury sports cars with conventional drive systems. The battery is the fruit of FAAM's experience in the development of lithium batteries. FAAM's research into lithium ion cells will make it possible in the short term to achieve specific energy density values that are more than double those of lithium ion batteries currently on the market. This, associated with a larger specific power reserve, will make it the ideal solution for future electric cars. This result has been made possible by the improvement in the specific capacity of the electrodes: current anodic and cathodic materials are replaced by materials with a higher specific capacity, cells with high potential cathodes based on lithium nickel manganese oxide, LiNi0.5Mn1.5O4, with a spinel structure. The composition of the pack is simplified by the small size of each cell, which allows for a certain amount of flexibility and adaption when installed on the vehicle. The battery case was designed to respect current crash test standards and it complies with ISO 26262 vehicle safety regulations. The battery is liquid cooled and protected by an insulating casing that guarantees that it will function in all use conditions, with a temperature range of da -20° C to +60° C. Battery functioning is monitored by a BMS (Battery Management System) unit, which verifies that the individual cells operate within the established normal functioning range. In the event of a malfunction, the battery is immediately isolated from the rest of the vehicle. The Cambiano's generous range was achieved by the innovative drive system, by focussing attention on aerodynamic efficiency, obtained in the Pininfarina Wind Tunnel, and by a significant weight reduction: the Cambiano weighs 1695 kg empty, an excellent result if we consider the size of the car. The chassis is light, resistant and modular, comprising a carbon fibre cell for occupants and two aluminium modules, one at the front and one at the rear, which act as crumple cells, absorbing impact and supporting all the mechanical parts. This engineering solution allows the same modules to be used for an entire family of derived vehicles. The central cell can be built with materials and dimensions that will allow it to adapt to the various requirements of cost, manufacturing volumes and furnishings of the cabin of a future derived vehicle The front and rear structural modules will also adapt effectively to different wheelbases and tracks. Where the energy management system is concerned, the objective is to minimise consumption and polluting emissions into the atmosphere, keeping turbine operating times to a minimum. This is triggered automatically when the battery charge falls below 20% of maximum capacity and turns off automatically when the speed is below 50 km/h (like restricted traffic areas in city centres). When necessary, the driver can activate or deactivate the turbine manually. On the road, the need to generate energy with the micro turbine will depend on how the vehicle is used, on the type of route (urban, rural, out of town) and on traffic. This information can be obtained by GPS navigator. The turbine can be controlled ready to generate a certain calculated quantity of energy, trying to keep its ignition and operating times to a minimum. The Cambiano also delivers road-holding at physical limits in all road conditions and types of use. The driver can choose his preferred driving mode using a selector lever. For example, the Ecocity mode zeros local emissions, activates exclusively electric drive and excludes the turbine. In Snow/Ice mode, the load sensors on the four suspension units calculate the available friction coefficient: this automatically limits performance. Efficiency mode regulates the acceleration and top speed to maximise the range, but does not penalise enjoyment excessively. The Sport mode makes driving more exciting, accelerating from 0 to 100 in 4.2 sec, and limits the continuous top speed to 250 km/h. And finally, with Drifting mode, the individual control of the electric motors artificially sets the behaviour of the limited slip differentials. It is also possible to adjust the front/rear drive split so that the vehicle can be driven in rally mode, underlining the entertainment of driving on snow-covered or dirt roads.